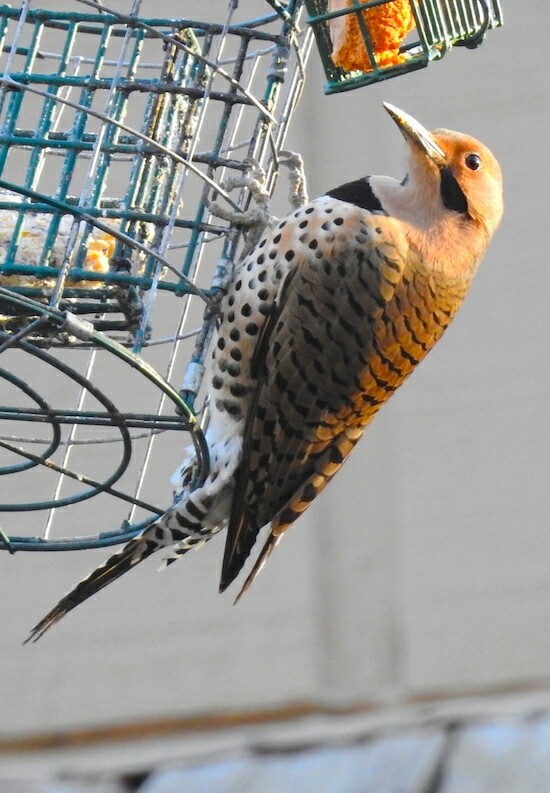 The northern flicker doesn't have "woodpecker" in its name, but it is one. And what a distinctive one! Although the black-and-white stripes on its tail are reminiscent of other woodpeckers' black-and-white checks, it's polka-dotted breast is what makes it stand out among birds. Quite fashion-forward.